Bagherifard, A., Bagheri, A., Saborifard, H., Bagherifard, G. (2014). Evaluation of Cardinal Temperature for three Species of Medicinal Plants, Thymus Transcaspicus, Foeniculum Vulgare and Calligonum Junceum. International Journal of Advanced Biological and Biomedical Research, 2(Issue 4 (2)), 482-488. Aminallah Bagherifard; Abbas Bagheri; Hossein Saborifard; Goodarz Bagherifard. "Evaluation of Cardinal Temperature for three Species of Medicinal Plants, Thymus Transcaspicus, Foeniculum Vulgare and Calligonum Junceum". International Journal of Advanced Biological and Biomedical Research, 2, Issue 4 (2), 2014, 482-488. Bagherifard, A., Bagheri, A., Saborifard, H., Bagherifard, G. (2014). 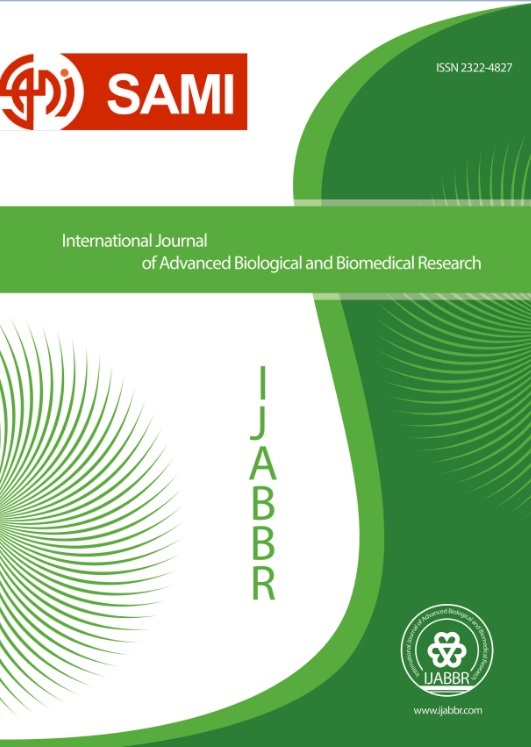 'Evaluation of Cardinal Temperature for three Species of Medicinal Plants, Thymus Transcaspicus, Foeniculum Vulgare and Calligonum Junceum', International Journal of Advanced Biological and Biomedical Research, 2(Issue 4 (2)), pp. 482-488. Bagherifard, A., Bagheri, A., Saborifard, H., Bagherifard, G. Evaluation of Cardinal Temperature for three Species of Medicinal Plants, Thymus Transcaspicus, Foeniculum Vulgare and Calligonum Junceum. International Journal of Advanced Biological and Biomedical Research, 2014; 2(Issue 4 (2)): 482-488. In order to evaluate cardinal temperatures and optimum thermal range of germination of three medicinal plants including Thymus transcaspicus, Foeniculum vulgare and Calligonumjunceum an experiment was conducted in a Completely Randomized Design with three replications. Therefore, this experiment was conducted to study of the seed germination characteristics to temperature. The we used three medicinal plants with 9 fixed temperatures ( 50C, 100C, 150C, 200C, 250C ,300C, 350C, 400C and 450C) as factorial experiment in the growth chamber. The results showed that the effect of these crops, temperature and their interactions on germination characteristics were significant. The basic, optimum and maximum temperatures were 1.4, 29.93, and 44.66 for Thymus transcaspicus, 3.33, 21.35 and 42.54 for Foeniculum vulgare and 5.23, 33.60 and 45 for Calligonum junceum.